Hi, this is Zoey Hammond (Mom is Brooklynn Power & Dad is Tyler Hammond) and this is her story. She is 5 1/2 months old and has been through so much in just a short amount of time. Zoey requires an NG feeding machine/tube to get her daily supply of food. With their new found challenges they face numerous trips to McMaster Children's hospital for visits to see her team of specialists including Neuorologists, Genetic specialist, Neuromuscular specialist, Orthopaedic surgeon, Occupational Therapist & also testing for metabolic, chromosomal & mitochondrial syndromes etc. 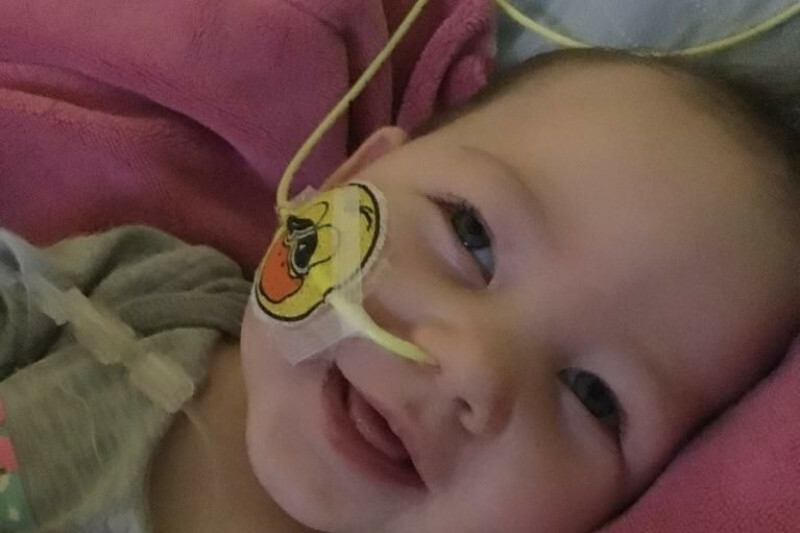 Zoey will also have to attend Landsdowne children centre for ongoing physiotherapy, occupational therapy, and visits with her infant & child developmental specialist. With these challenges comes a tremendous amount of financial stress & worry. With your help we can relieve some of this worry and strain and allow the focus to be on Zoey where it should be. We can't thank you enough for all of your love and support.